Reviewing materials for a podcast about pencils has never been so yellow! 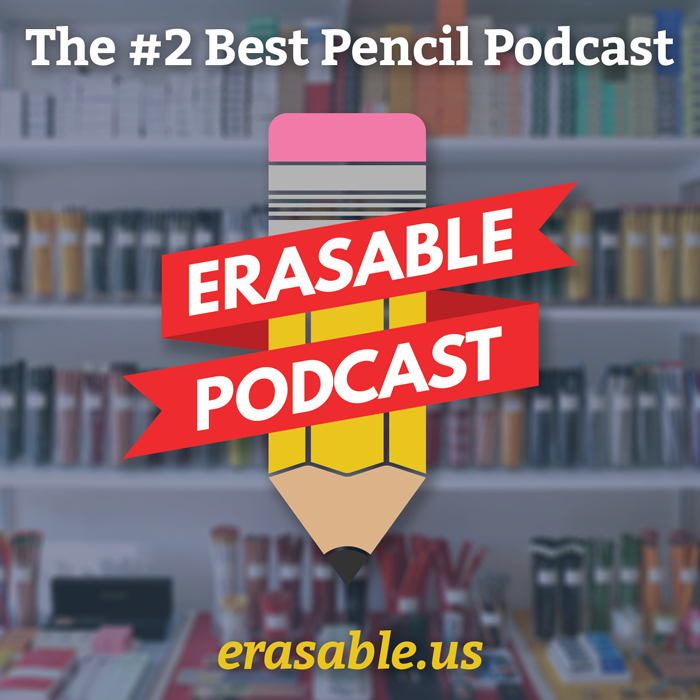 Tim, Johnny and I have been having a blast with the Erasable podcast so far. An absolute blast. Perhaps my favorite episode so far is the one that just came out today, Episode 6: The Brotherhood of the Traveling Sharpener. Whenever we’ve asked Twitter for ideas on what our followers would like us to talk about, almost everyone wants to know about sharpeners. Trouble is, we’re just an hour(-ish) long podcast, and there are so many sharpeners out there! We decided to just go through some questions people have asked, and then list our favorites and explain them, like the Classroom Friendly Sharpener and the much-debated KUM Long Point Sharpener. Invariably, the conversation came around to David Rees and his artisanal pencil sharpening, and, of course, his book. Rees talks a lot about one of my sharpener obsessions; the El Casco, which I’ve blogged about before. It’s quite expensive, and Johnny proposed we all three pitch in to buy one and then share custody (like the pants from the movie The Sisterhood of the Traveling Pants. Hence the episode title). Go take a listen — if you have any interest in pencils sharpeners at all (and why would you be here if you didn’t? ), you’ll love it.